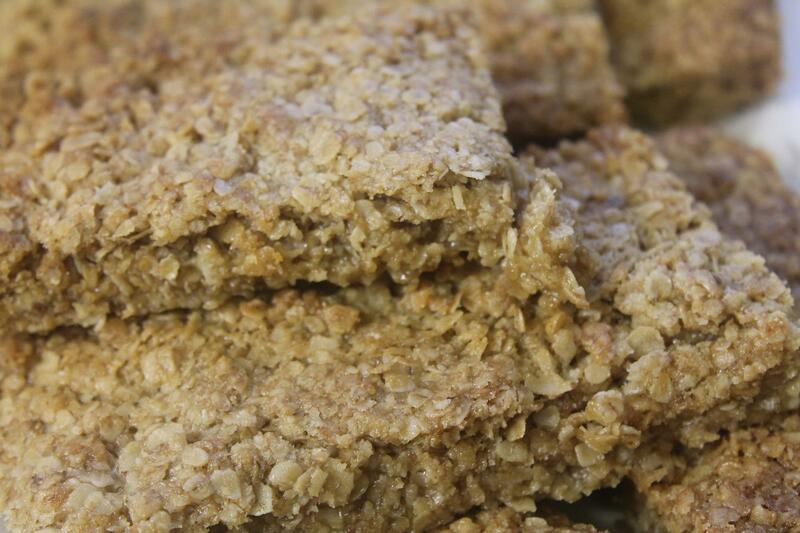 Flapjacks are easy to make and last a while in an airtight tin. I sometimes double up the recipe and hide half of them to make them last longer! Grease a swiss roll tin, Melt the butter in a large pan and stir in the sugar stirring all the time. Add the syrup and salt and combine the oats thoroughly. Press into the tin and cook for 15 mins. Then turn down the oven a little and cover the tin with foil to prevent burning and cook for a further 10 mins. Leave in the tin and mark into squares or fingers and allow to cool. Melt the chocolate and use to cover the top either in one piece or individually. If you cover the whole thing cut through the chocolate before it cools. Fork the top to make a pretty pattern!